Who doesn’t love a classic? So many times I find myself drawn to the classic recipes. 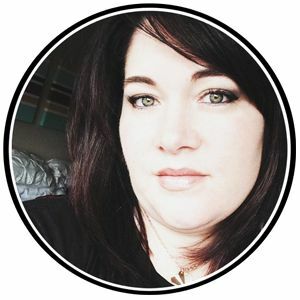 They are tried and true, they are what brands are built on. I’m totally that way with my Chex Mix as well. I have childhood memories of sharing Original Chex Mix with friends at sleepovers and at our first “boy/girl” parties. Remember that? 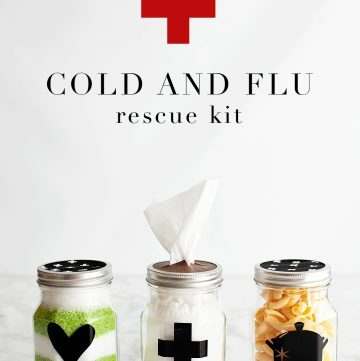 It was such a fun new idea back in the day. The thing about classics, they NEVER go out of style. The classic white shirt, classic cars, black pumps, jeans… the list can go on and on. 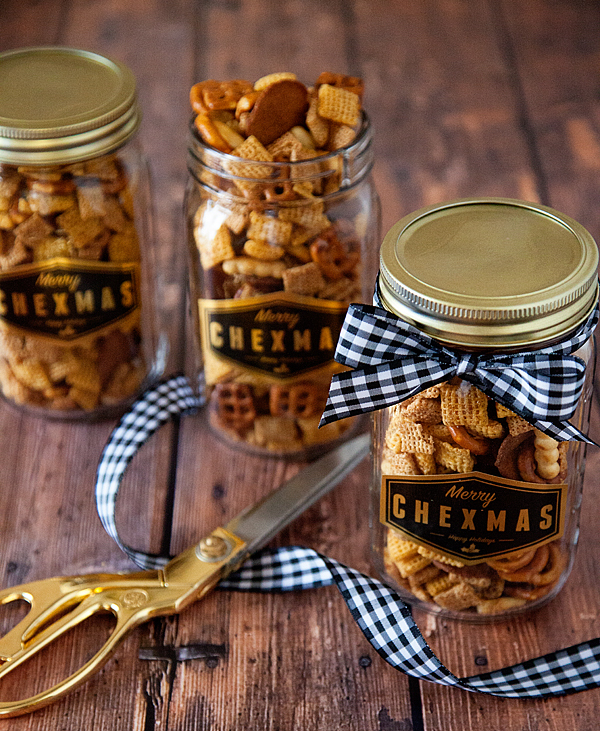 Today, I’m sharing a fun way to take the classic Original Chex Mix, package it up and give it as a fun gift for friends & neighbors this Holiday Season! You know… Not everyone on your list LOVES sweets! 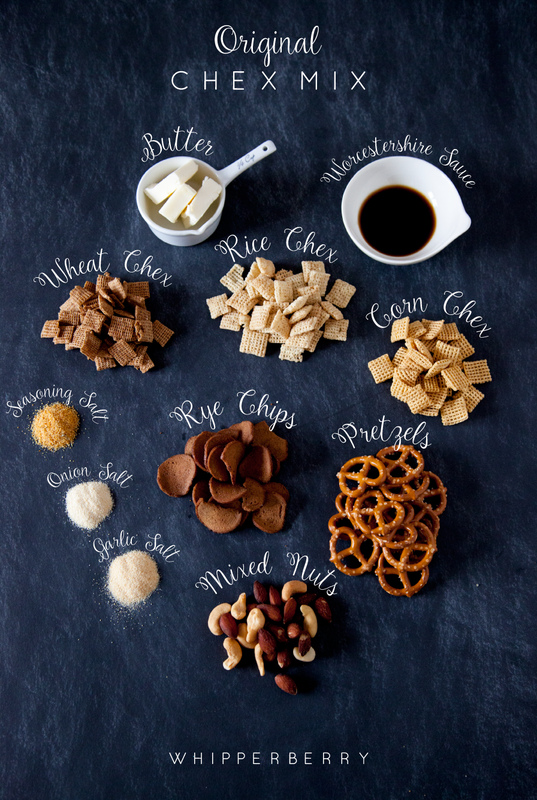 First you need to mix up a batch of Original Chex Mix, you can find the recipe HERE. Then you need to gather some jars. 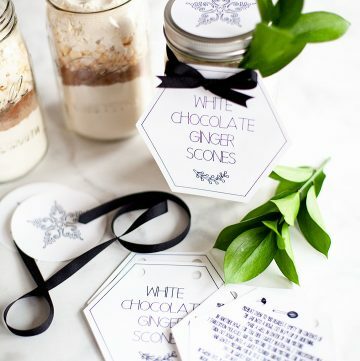 I found some fun gifting jars at Target that have a flat surface on the sides so that they are easier to add labels to. They are in the holiday baking section at Target. 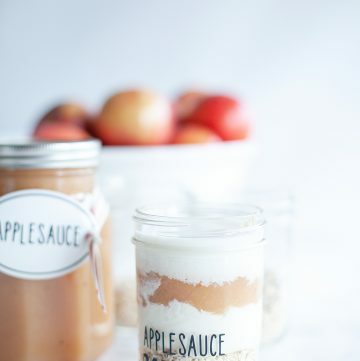 I designed this fun label that you can print on either card stock and tie onto your jar OR you can print it on label paper and stick it to the side of your jar. 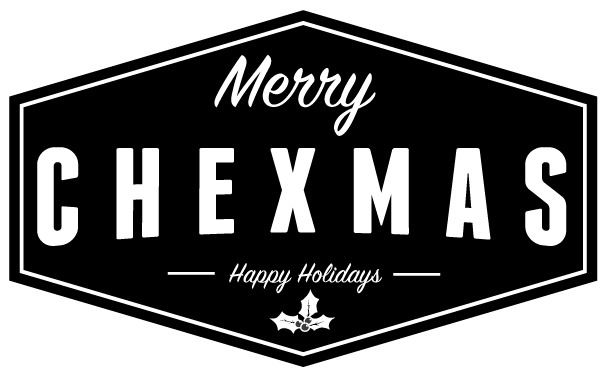 Click HERE to download the printable Merry Chexmas tag. 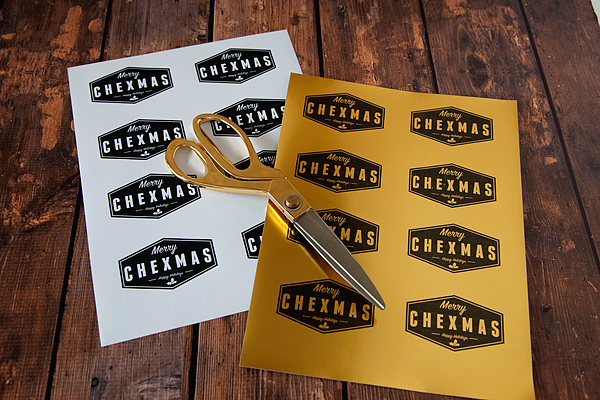 You can either print it on white label paper OR I love the Printable Gold Foil that Silhouette makes. I also spray painted my lids gold so they wouldn’t clash with my gold label, but that’s not totally necessary. 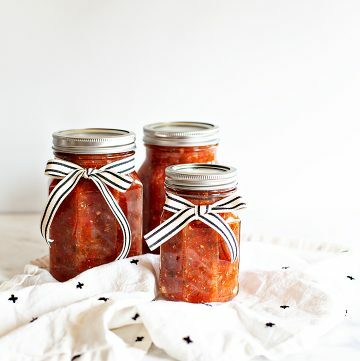 Now you have a GREAT savory gift that is perfect for friends, neighbors, teachers, the office, the mail man, your bus driver… Basically ANYONE! 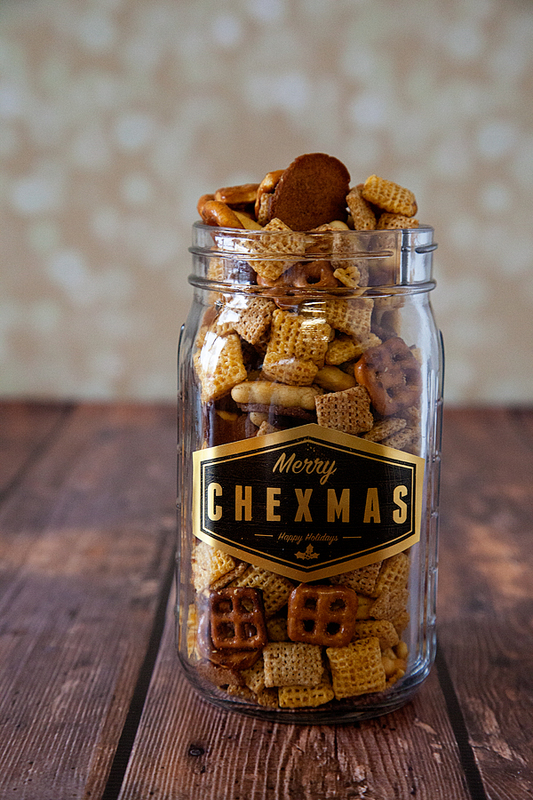 You can do all kinds of other stuff with this idea… Layer some Original Chex Mix with some Muddy Buddies for a savory & sweet treat. You can find all kinds of other ideas at Chex Mix. You can also follow them on Facebook, Twitter, Instagram & Pinterest. 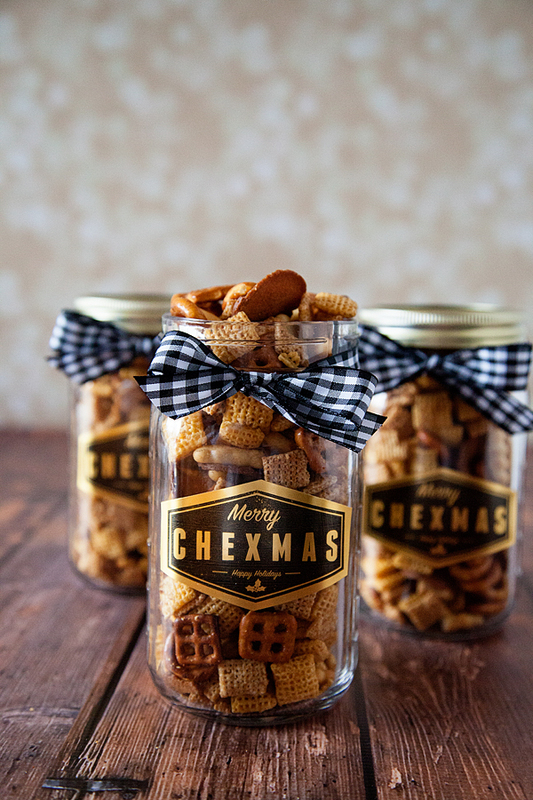 They even have a whole site devoted to all things Chex Party Mix! You’ve been armed… What are you going to gift this Holiday Season?